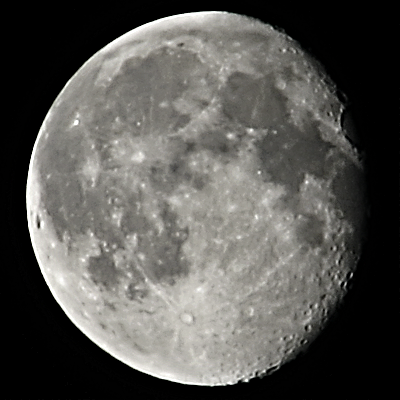 One more Moon from yesterday, a slight improvent to the image I posted last evening. It’s a Supermoon! You can’t really see the difference with your eyes, but it’s definitively noticeable in this 400×400 frame – usually it appears a bit smaller in this. I’m still digging for my earlier Moon photos from this year, but I’m sure I can make a comparison image like I did last year here.